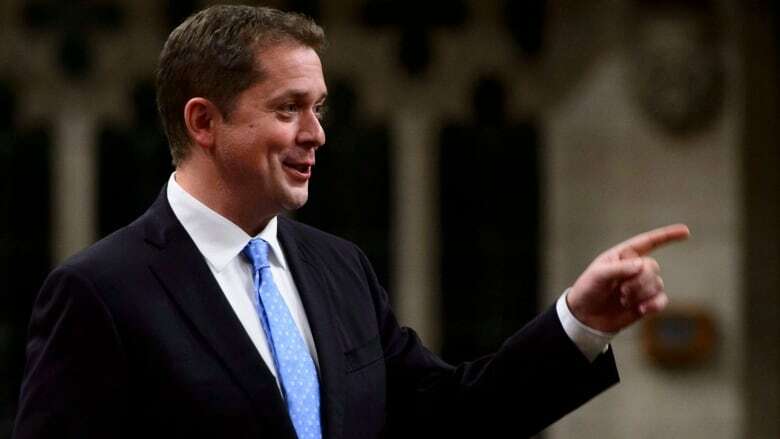 The federal ethics watchdog says he's concerned that Conservative Leader Andrew Scheer's office encouraged a Tory MP to violate the conflict-of-interest code for members of the House of Commons. In a written ruling Tuesday, Mario Dion says Calgary Conservative MP Stephanie Kusie contravened the code last March 29 when she posted on social media a letter she'd sent the ethics commissioner that day asking him to investigate Raj Grewal, who was a Liberal MP at the time. Kusie was one of two MPs to ask Dion to investigate whether Grewal was in a conflict of interest when he invited a construction company executive — who was paying Grewal for legal services at the time — to official events with Justin Trudeau during the prime minister's trip to India early this year. Grewal was kicked out of the Liberal caucus last week amid revelations that he was under police investigation after racking up enormous gambling debts. Dion says he's imposing no sanction on Kusie because she posted her ethics complaint on the advice of the Opposition Leader's Office (the "OLO," in Parliament Hill jargon). Indeed, Dion indicates he's troubled by the cavalier attitude Scheer's staff took toward a rule meant to prevent disclosure of an ethics complaint against an MP until that MP has been notified. Under the code, an MP who requests an ethics investigation is prohibited from making any public comment on the matter until the commissioner confirms that the subject of the inquiry has received a copy of the complaint, or 14 days after the request is made, whichever is earlier. He says Scheer's office first gave Kusie's letter to the National Post, several hours before the commissioner received it, and then urged her to post it on Facebook and Twitter. "I am concerned that Mrs. Kusie received information and advice from the OLO encouraging her to make public comments once the OLO had made her request public as this clearly prompted her to contravene a provision of the code," he says. Dion says Scheer's office urged Kusie to post her letter, despite knowing that other MPs — including Scheer himself — had previously run afoul of the code by prematurely disclosing their requests for investigations. He notes that in January 2017 the leader had been forced to apologize for public comments about a request for an investigation into Prime Minister Justin Trudeau's conduct. Yet, Dion says both Kusie and an aide told him that in their dealings with Scheer's office on the matter, "they had never been informed of past incidents involving other members but instead were encouraged to post on social media." Only after Dion informed Kusie a week later that she might have contravened the code did the leader's staff mention those past incidents. And even then, Dion says an email to Kusie from her assistant summed up advice from the leader's office this way: "Staff in OLO did not think that the commissioner's concerns were 'a big deal,' had noted that other members had been 'similarly reprimanded' and had sought to obtain approval to 'leak out the letter (Mrs. Kusie) received confirming that the ethics commissioner is indeed investigating Grewal.' "
As well, the leader's staff proposed getting the National Post to correct its March 29 story to delete a reference to Kusie's sharing her letter to the ethics commissioner with the newspaper. The Post did update its story on April 5, specifying that it got a copy of the letter from "a Conservative staffer." Dion concludes that Kusie's violation of the code "was an error in judgment made in good faith" and on the advice of the leader's office and consequently recommends no sanctions be imposed.